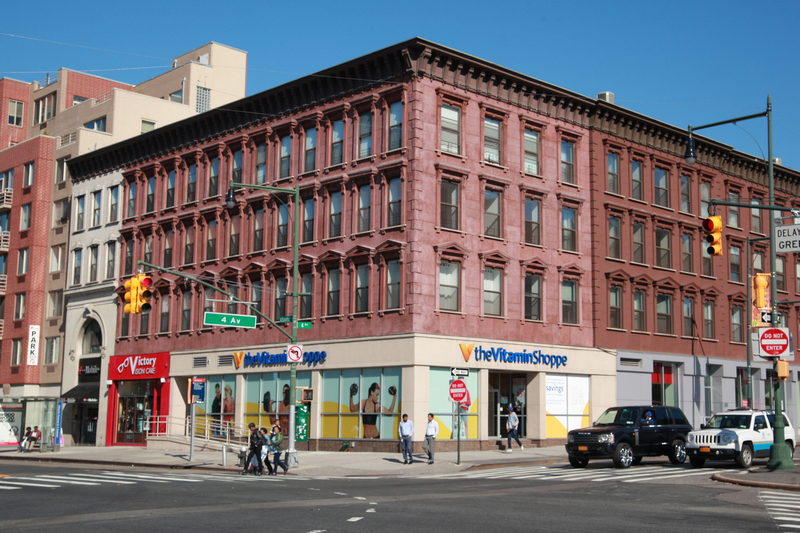 The 560 State Street location has a claim to fame as the site where artist Jay Z shouted out “Empire State of Mind.” Our crews converted the 1900, four-story tenement into 39 luxury condominiums and retail space. To achieve our vision for the building, we added steel to the structure in order to substantially increase its weight capacity. The ground floor of the building features retail space that we customized to suit the needs of commercial tenants. It features modem floor-to-ceiling windows and completely renovated interiors. Fortunately, we were able to preserve the historic elegance of the upper floors as evidenced by the vibrant red brickwork and intricate details of the fa9ade. It’s frequently our pleasure to intertwine the old and the new to create structures that embody the best of both worlds–modem innovations paired with old-world aesthetics. As an added feature of the structure, we were able to create a wonderful common area in the form of a stone courtyard complete with its own outdoor kitchen and barbecue grill. Even in crowded city areas, we are often able to merge residential structures with special features that incorporate the outdoors into the design for a more integrated approach too urban living.